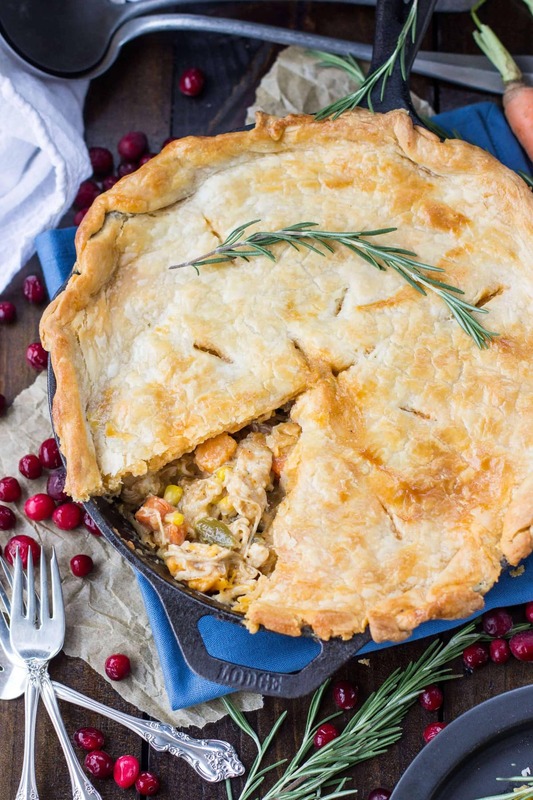 You are here: Home / Meals / Turkey Pot Pie — Great for Leftover Turkey! To prepare the crust, pulse together flour and salt in food processor. Sprinkle butter pieces over-top the flour mixture and pulse until coarse crumbs begin to form. Add sour cream and pulse until dough begins to clump together. Transfer dough to lightly floured surface and knead into a smooth disk. Wrap in clear wrap and place in refrigerator while you prepare the pot pie. Cut potatoes and carrot to approximately the same size (erring on the smaller side so the potatoes finish cooking along with the carrots). Place in medium saucepan, add water until vegetables are just covered and lightly salt the contents. Bring water to a boil, then reduce heat to low, cover and allow to sit covered for 8-10 minutes (until vegetables are tender). Drain potatoes and carrots and set aside. In your 10" cast iron pan, melt 6 Tbsp butter over medium-low heat. Add chopped onion and cook until tender and translucent (about 4 minutes). Sprinkle the onion with the with flour and stir until smooth. 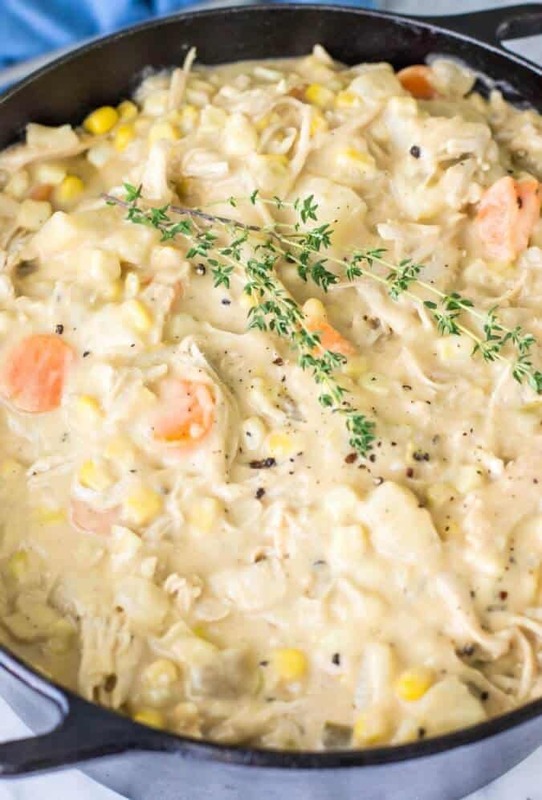 Add remaining ingredients (chicken broth, heavy cream, turkey, green beans, corn, and spices ) and bring contents to a boil, stirring frequently until liquid has thickened. Reduce heat, add potatoes and stir. Remove from heat. Remove your pie dough from the fridge and roll out into even 12" circle. 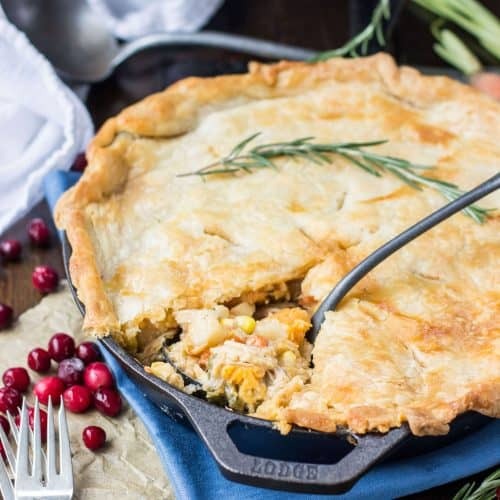 Carefully lay the crust over the top of the pot pie contents (it does not have to drape over the sides, rather push the crust up against the inside of the pan). Cut several slits in the crust, lightly brush with your beaten egg, and bake in the oven on 400F for 30 minutes or until crust is golden brown. 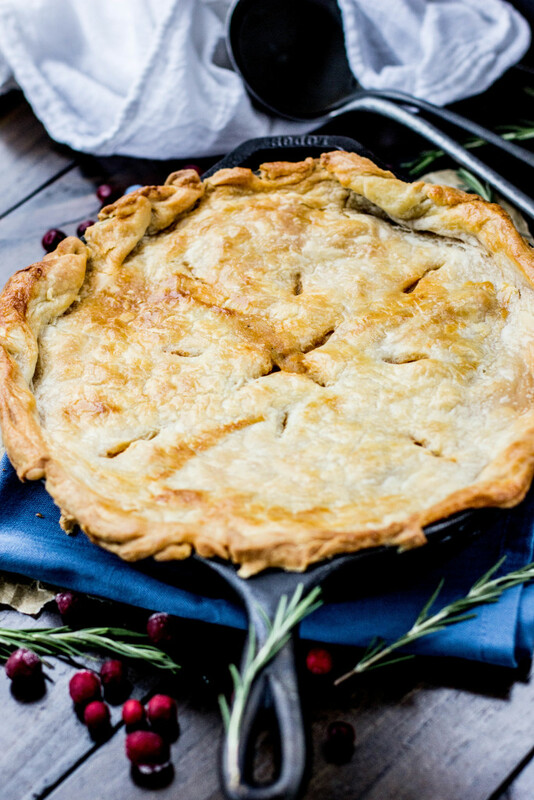 How would you modify the recipe if you want to do a double crust in a traditional pie plate? Hi Charlotte, I think this filling will be too much for a traditional pie plate. If you wanted to leave some of it out though, you’d need to double the pie crust, cook the filling as indicated, then bake for probably about 45 minutes or so. Wowza. A big success and the crust was easy! I have never left a review for a recipe and I’m not even a fan of pot pie. Made this last night – what a winner! 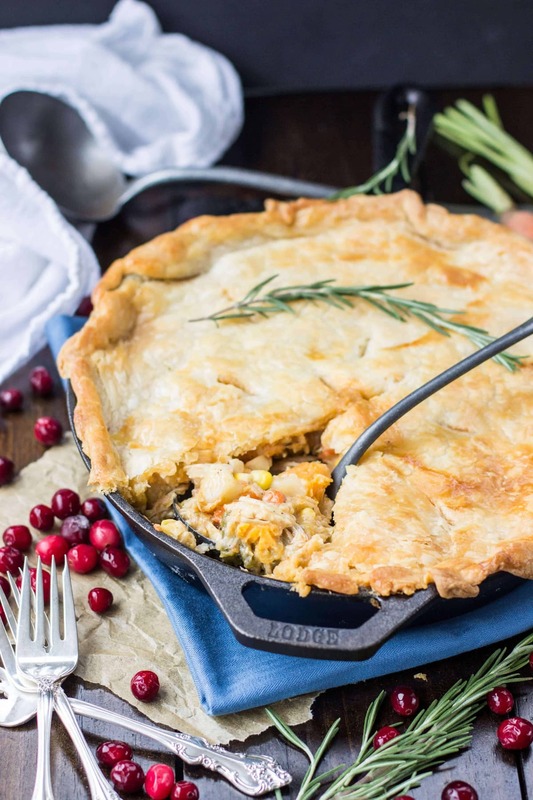 It has just the right twist to take it to next-level pot pie. I made several modifications, mostly out of necessity, but they were minor. I will make this every time I have leftover turkey. Hands down the best pot pie I have ever had. Thank you so much! 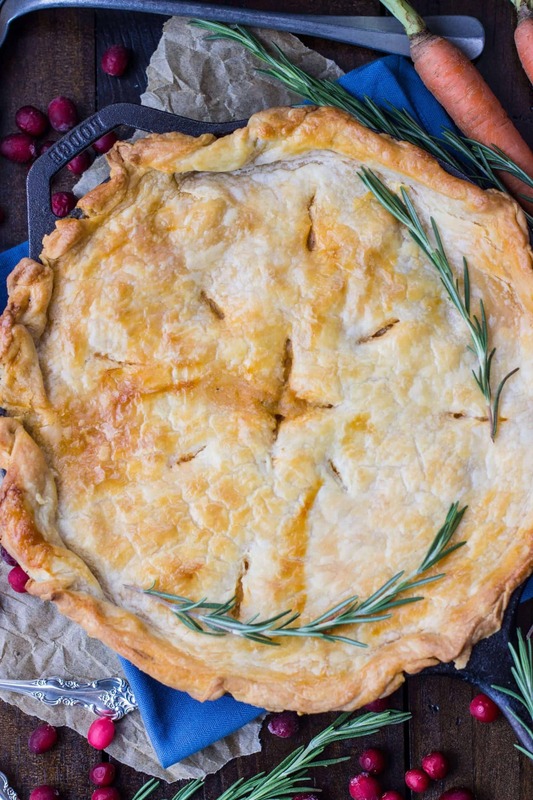 Can I make this pie on conventional oven glassware or stoneware..No skillet available. The recipe is a great baseline technique that can be adjusted in any number of ways. Having the proportion of meat and veggies, the proportion of broth / cream and crust allows for an infinite number of dishes. Delicious and not overly complex. I roasted my veggies, used a different combination but your recipe made it work perfectly. Kudos! My husband said “you should make it every day” when I asked him if he liked it! The crust was so easy and rolled out like a dream. I usually have trouble with crust so I am thrilled! Thank you for a great recipe. This was delicious! I used puff pastry for the crust and peas instead of green beans. It didn’t come close to fitting in a 10″ pan so I had to dump into a 12″ before putting the potatoes back in. Thanks for posting! My goodness this was simply amazing! My boys went back for seconds and the little one looks like he might explode. Thanks for sharing! 😂I am so glad everyone enjoyed the pot pie! We have made this recipe several times now. It’s one of our favorites. Thank you so much. And the crust is so good. It’s my go to pie crust recopr now. Quick question. I want to make this as a meal to take to a friend after baby came. If I put it all together tonight and leave crust on it unbaked until they’re ready to cook it, will it hold up okay? Suggestions? I think this would be fine except you would want to be sure let the pan and its contents cool completely before adding the pie crust on top, otherwise it will melt as it sits. I hope that helps! This was so yummy! Only suggestion I have is make the Rue with the sauteed onions, butter, sprinkle with flour, blend and then add the stock (I used TURKEY stock) then add the rest! Easy peasy! This was so good I made it again a few days after Thanksgiving too! And tonight I’m shredding a Costco rotisserie chicken in place of the turkey. 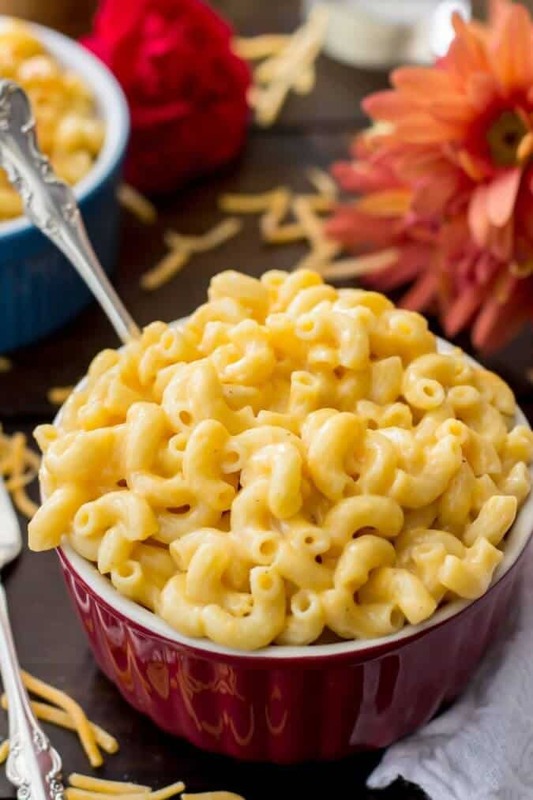 This is so delicious, and using the cast iron skillet is great – super easy cleanup! Thank you so much! Made this last night with leftover turkey and it was so good. 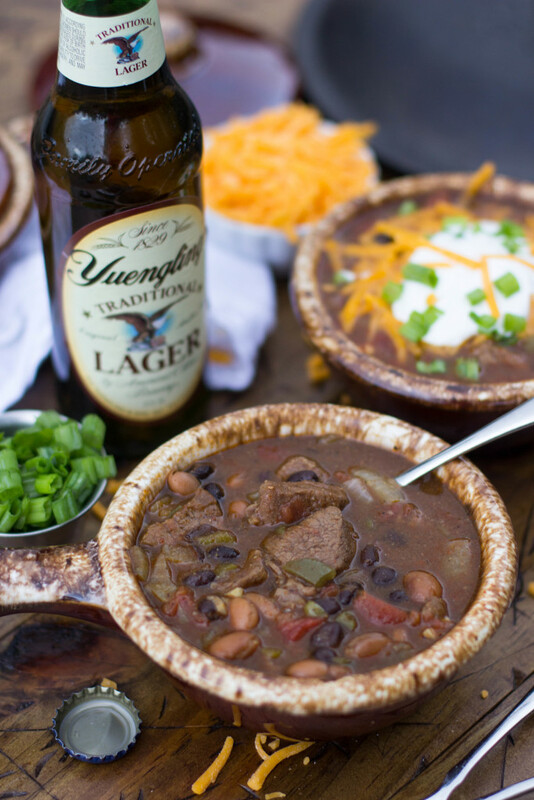 Adding this to our holiday recipe pile.